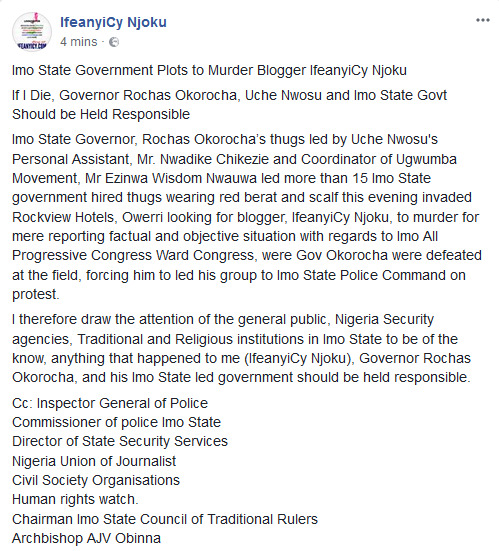 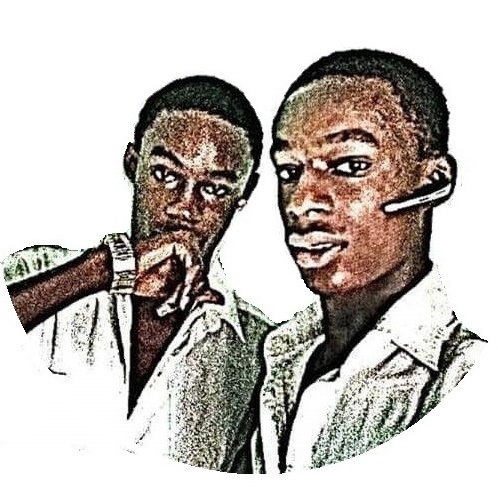 A popular blogger in Imo state, IfeanyiCy Njoku has raised an alarm after accusing Imo state government of trying to murder him. 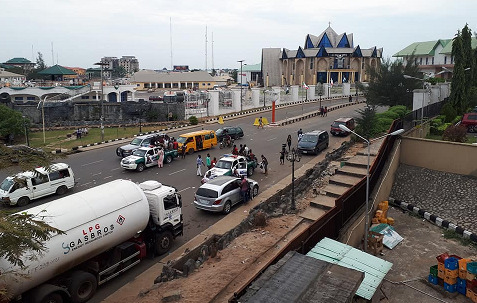 According to the reporter who is well known for criticizing Imo state government especially governor Rochas Okorocha, more than 15 hired thugs stormed Rockview Hotels in Owerri in search of him. 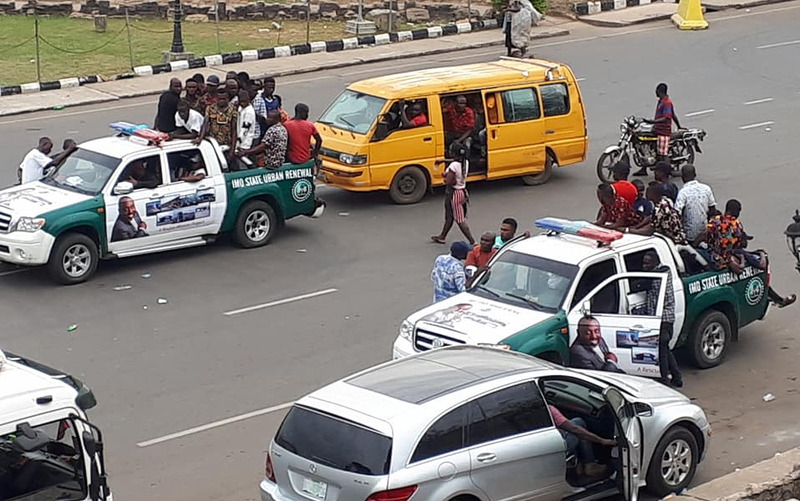 Imo State Governor, Rochas Okorocha’s thugs led by Uche Nwosu's Personal Assistant, Mr. Nwadike Chikezie and Coordinator of Ugwumba Movement, Mr Ezinwa Wisdom Nwauwa led more than 15 Imo State government hired thugs wearing red berat and scalf this evening invaded Rockview Hotels, Owerri looking for blogger, IfeanyiCy Njoku, to murder for mere reporting factual and objective situation with regards to Imo All Progressive Congress Ward Congress, were Gov Okorocha were defeated at the field, forcing him to led his group to Imo State Police Command on protest. I therefore draw the attention of the general public, Nigeria Security agencies, Traditional and Religious institutions in Imo State to be of the know, anything that happened to me (IfeanyiCy Njoku), Governor Rochas Okorocha, and his Imo State led government should be held responsible.